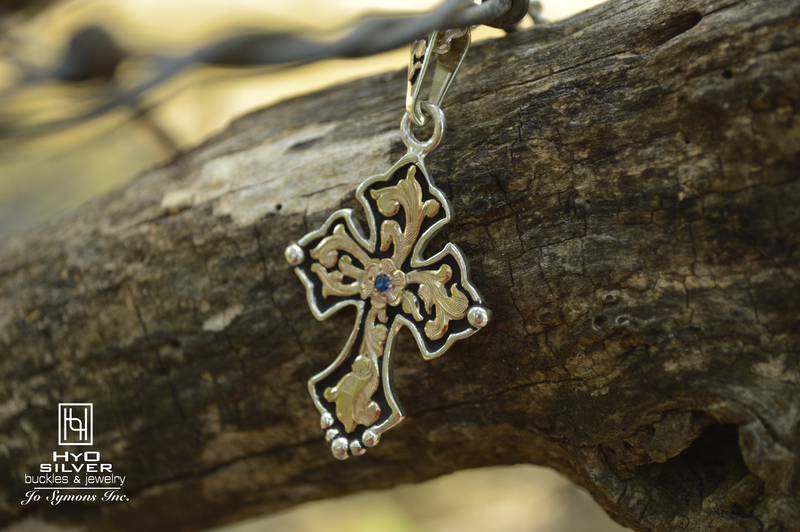 Carry a beautiful symbol of faith with the Budded Cross Pendant w/ Peridot Green. You’ll love the two-tone look of silver and gold against a midnight black antique. Sterling silver & 1/10th 10k yellow gold and rose gold with peridot green cubic zirconia and black antique.